We all know that finding a perfect wedding venue is one heck of a tiresome task. 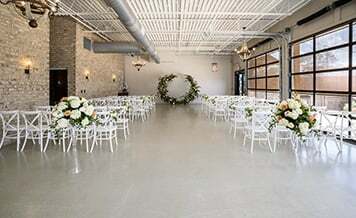 You have to keep in mind various quintessential factors like guests' size, venue floating and seating space, basic amenities, and various other factors when choosing the wedding venue. Moreover, you can have numerous options for other aspects of the wedding like the wedding outfit, jewelry, decoration, but for the right wedding venue, there is only a smidgen of choices. Agree or not, wedding venues play a pivotal role in making the wedding functions an unforgettable affair. A perfect wedding venue with state-of-the-art infrastructure and modern amenities is nothing less than a treat for the couples who want to give their guests’ a lavish wedding experience. In a city like Ahmedabad, spotting a highly sought-after wedding venue during the peak of wedding season is quite daunting. Forget about top-notch wedding venues in Ahmedabad, you can’t even think about landing up with an average wedding venue as soon as the wedding season hits. If you reside in Ahmedabad city and looking for a fully-fledged and well-groomed wedding venue for your wedding function, Shaadidukaan can help you out in finding the right one. At shaadidukaan, there is a wide selection of stunning wedding venues of Ahmedabad listed with us which you can book without making a dent in your budget. Whether you are looking for a super-lavish hotel, spacious wedding lawn, a banquet hall, or an exotic resort, we’ve rounded up all for you. With us, your coveted wedding venue is just a click away. You simply can’t land up with the best wedding hotels in Ahmedabad if you are not aware of all the vital pointers required to find a perfect wedding venue. 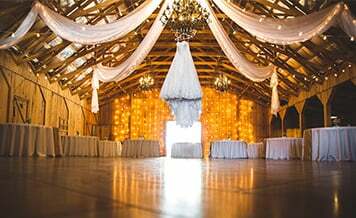 We’ve jotted down some proven and time-tested tips that will help you immensely in choosing your dream wedding venue. The first and foremost thing you need to do is to know your guest list. How can you select a wedding venue if you don’t have any idea of the total number of guests going to hit the wedding function? Knowing the exact guests’ size can help you choose a venue that is perfect for your guest’s list. Also, it will help you to break down the right budget for the wedding venue. It is the heartfelt dream of every couple to book the finest venue for their wedding function. But not everyone can do that because of the budget constraint. You define specific budgets to the various wedding aspects including the venue and you can’t afford to spend beyond that. When you allocate a specific budget for the wedding venue, it renders you the clarity. As you will shortlist only those venues which fall in your budget. In a nutshell, always remember your budget. 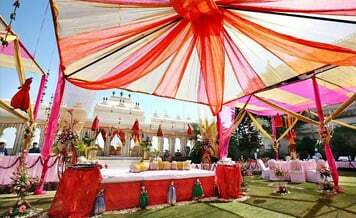 Talk to a wedding planner if you truly want to make your wedding function an entrancing affair. Hiring professional wedding planners not only save your valuable time and money but also it gives you the privilege to harness their creativity in eliciting the best of your wedding function, no matter how limited resources you have. What you want your guests’ to see when they step into the wedding venue? Obviously, picturesque and panoramic views of the surrounding. Whether you want to book wedding lawns in Ahmedabad or top wedding resorts, you have to make sure that the venue is situated at some gorgeous location from where the all-around view is simply mesmerizing. In a majority of Indian weddings, you will find the guests struggling hard to find a parking space to park the vehicle. When your wedding is a one big and gala affair and thousands of guests are going to arrive, insufficient parking space at the wedding venue can create a great ruckus at your wedding function. We recommend you to select only that wedding venue which has ample parking space and every guest get the space to park their vehicle without any hustle. 1. 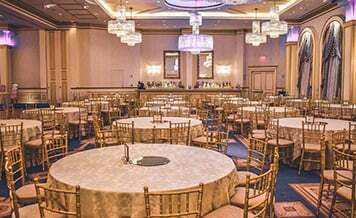 Seating/Floating Space – When it comes to choosing the top wedding resorts in Ahmedabad, there are two things on which you have to pay meticulous attention: seating capacity and floating capacity of the venue. What’s the point of picking a venue where your guests’ feel nothing but choked. 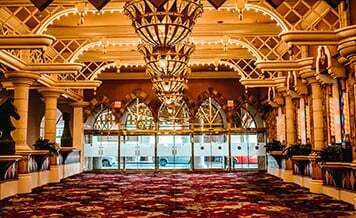 Before booking the venue, ask from the vendors about venues seating and floating capacity. Select the one which can easily accommodate all of your guests’ and still left with ample space. 2. 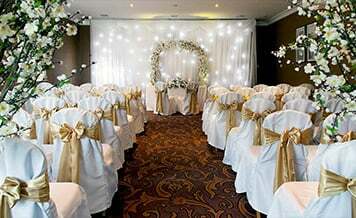 Budget – Booking a wedding venue is one of those wedding planning aspects which gobbles a major chunk of your budget. Even an average wedding venue in a city like Ahmedabad costs hefty during the peak of wedding season. But you have to strive hard not to spend beyond your budget if you don’t want to feel the stress of financial breakdown. Keeping in mind your defined budget, ask vendors, can they book the venue within the given budget? If yes then, take your discussion further and try to negotiate more. 3. Availability – Even though you can spend beyond your capacity to book a wedding venue, but that would still be futile if the venue is not available for booking at your wedding function date. Instead of showing hastiness to book the wedding venue quickly, first, check the venue’s availability status from the vendors and book the perfect one which is available at your preferred dates. 4. Location & Reachability – No matter how lavish and splendid your wedding venue is, if it is situated at far away location which is difficult to reach for guests’, you wedding function will quickly turn into a terrible affair. A wedding venue should be easily reachable via different transportation modes and without any difficulty. Thoroughly check out the location and reachability of all the shortlisted venues and hire the one which reachability and location are best. Your guests’ will enjoy the wedding to their heart’s content if they could reach the location easily.